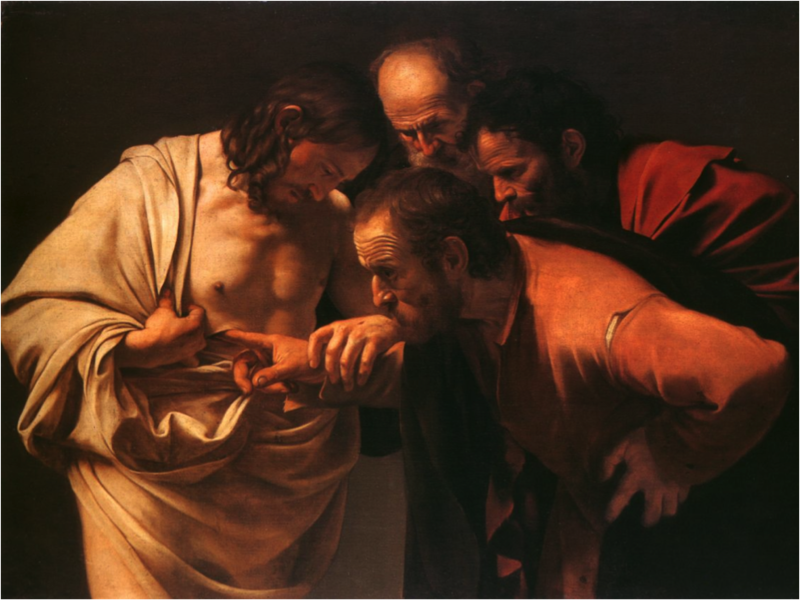 Stephen Jay Gould considered Doubting Thomas to be the patron saint of science because Thomas would not believe in Jesus’ resurrection until he saw proof with his own eyes. For Gould, Thomas’s requirement to see the evidence for himself perfectly encapsulates the primacy of witnessing in scientific thought. But what Gould forgets is that only a few scientists working in the lab or in the field actually directly witness scientific evidence for themselves. The rest of us, even other scientists, take these scientists at their word because we can indirectly or virtually witness this evidence by reading scientific articles. 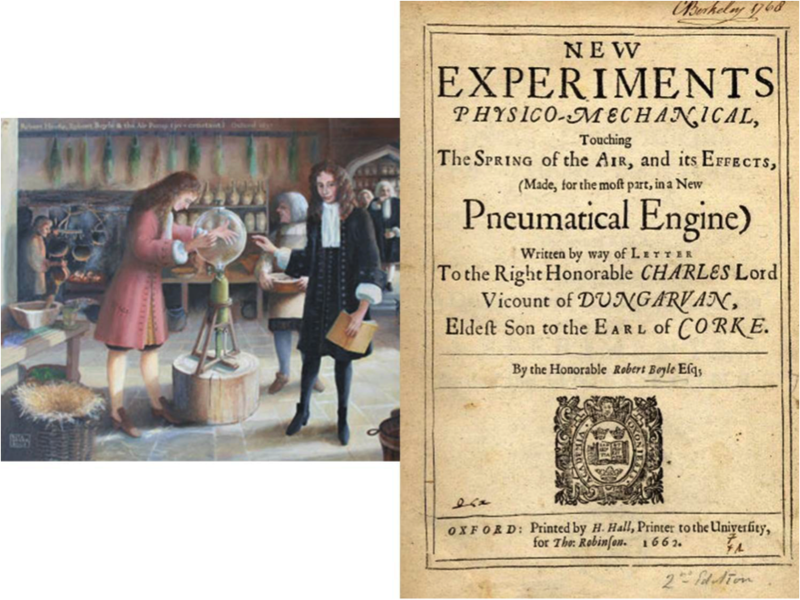 It was Robert Boyle who believed that the establishment of a fact required every member of the scientific community to witness an experiment. But that, clearly, was impractical. So, instead Boyle wrote a lengthy, incredibly descriptive essay that allowed other scientists to virtually witness his experiment. But no matter how long and descriptive Boyle’s writing was, his essay still depended heavily on images in order to convince other scientists that what he said was true. 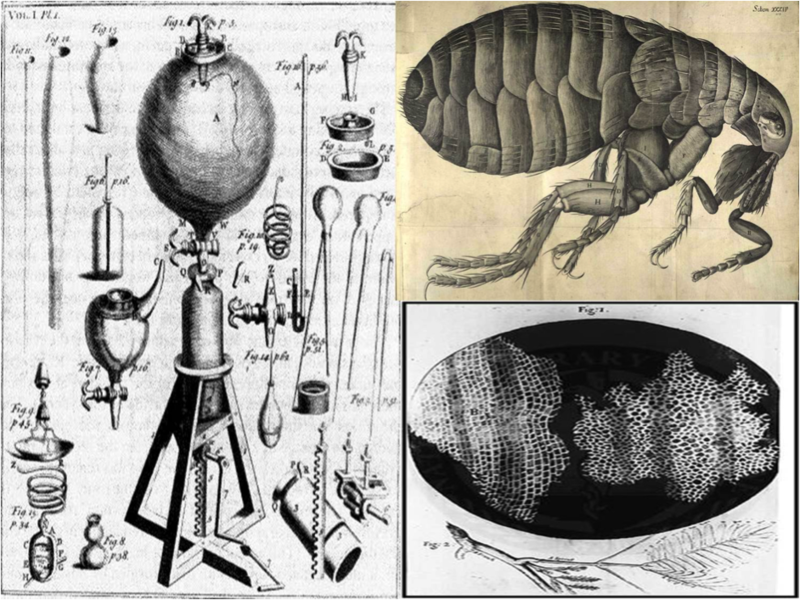 It turns out that images have a powerful persuasive capacity and visuals subsequently became a standard feature of scientific writing as seen here from Boyle’s New Experiments and from Robert Hooke’s Micrographia. Pictorial representation, in fact, can be a powerful determinant of perception that can even supplant other scientific evidence. This scientific reconstruction of a pterosaur was created in 1817 based on faulty data and it gave the impression that pterosaurs were bat-winged gliders. Subsequent illustrations of pterosaurs based on that drawing (like the image on top) actually led to scientific acceptance of a bat-winged pterosaur. 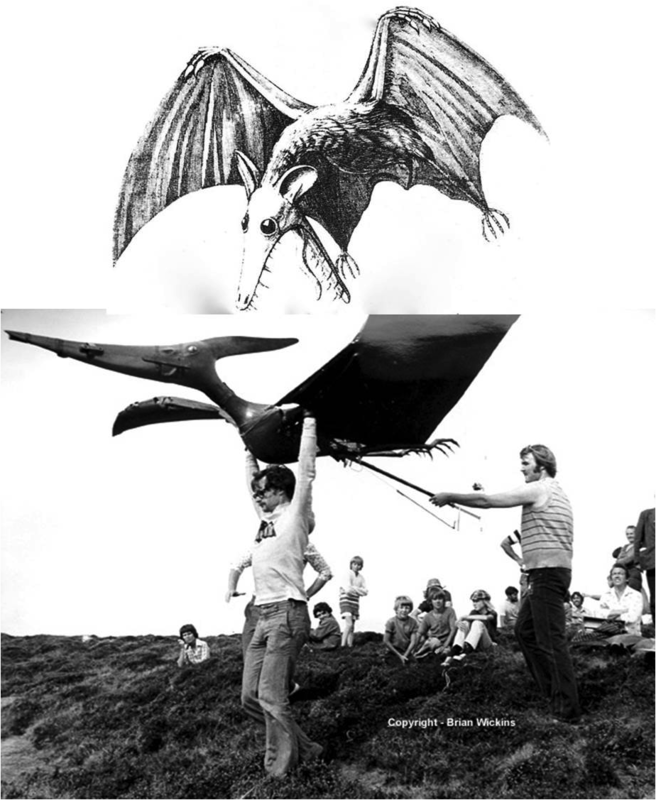 So despite lack of scientific evidence supporting this interpretation, scientists up until the 1990s based their experiments on the bat-winged pterosaur as you see in the image on the bottom (c. 1974). Here is what we now believe pterosaurs look like. Their wings resemble those of birds not bats. But it took us nearly 200 years to reach this point because a single image based on faulty data seemed so plausible to the public and, most importantly, the image also seemed credible to scientists. Images made through collaborations between scientists and artists are particularly powerful. 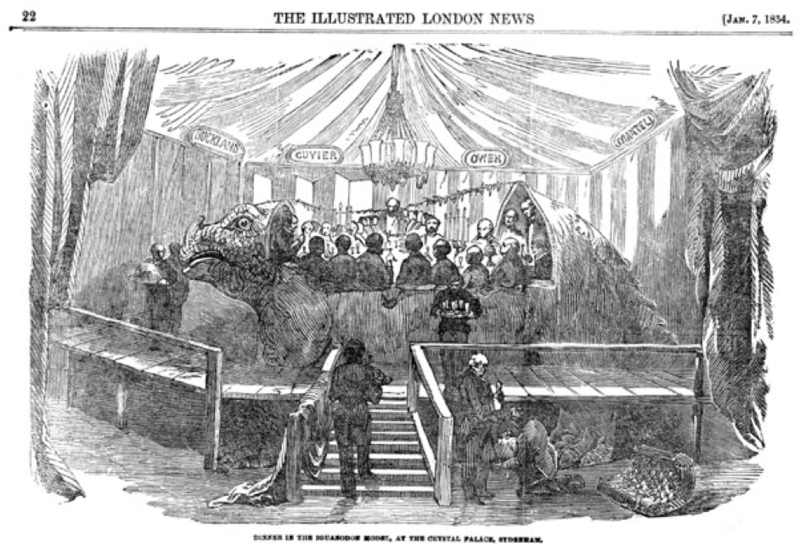 One of my favourite examples of an artist/scientist collaboration involves Richard Owen, who had coined the term dinosaur, working with sculptor Benjamin Waterhouse Hawkins to produce the Crystal Palace Dinosaurs in the 1850s. Owen jumped at the chance to advise Waterhouse Hawkins. 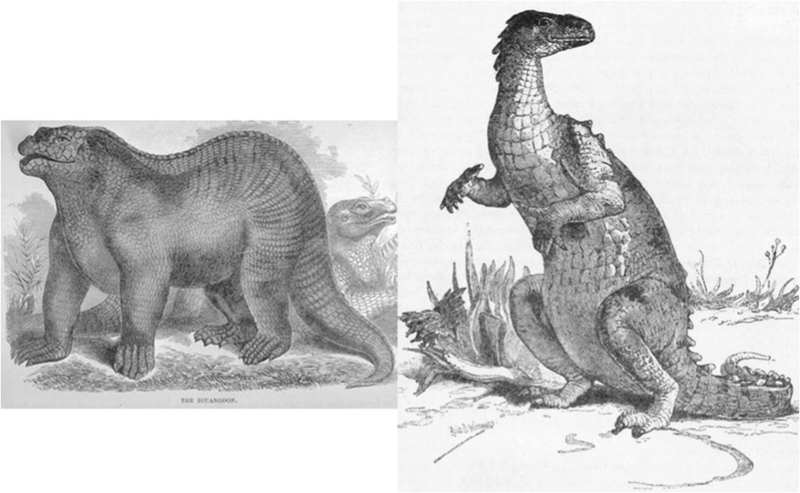 Because he wanted to make sure that these sculptures conformed to his notions of a 4-legged Iguanodon (as seen on the left) instead of looking like what his bitter rival Gideon Mantell argued which was that Iguanodons were bipedal animals (as seen on the right). Hundreds of thousands of visitors saw these sculptures. That meant that Owen’s conceptions of dinosaurs became ingrained in the public’s mind and it took a long time for this perception to change. Ever since then distinctions between popular art and scientific representations have become blurred in paleontology. 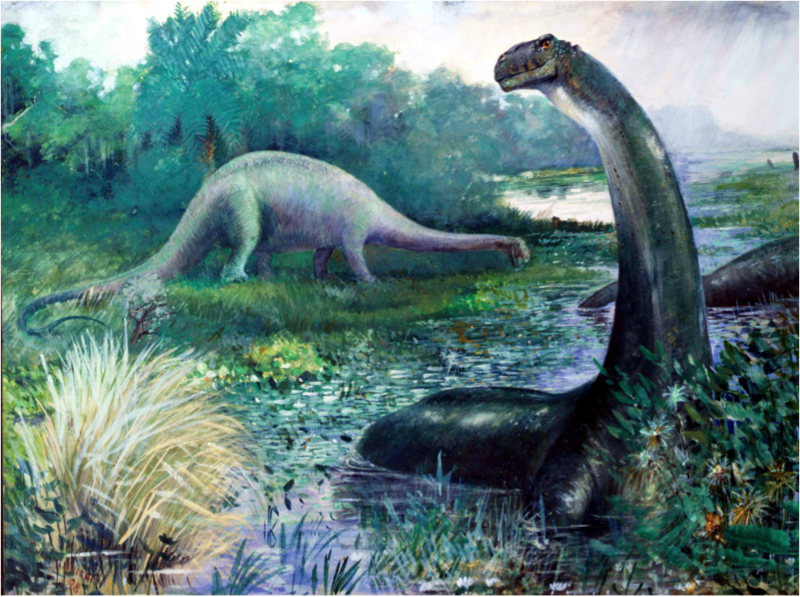 Paintings, such as this one by Charles Knight visualized scientists’ speculations, but these images also influenced what scientists believed about dinosaurs. The artwork made these speculations seem plausible, and that explains why it took so long to overturn many long standing beliefs in dinosaur paleontology. 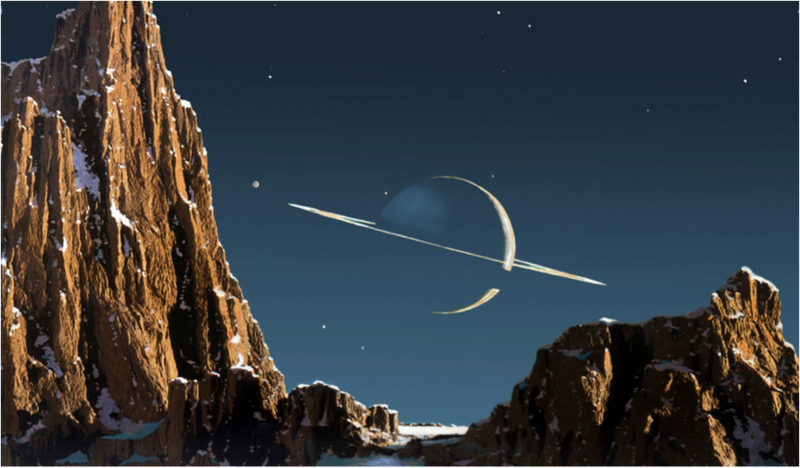 Artistic renderings imbue vibrancy to dry scientific data like we see in this astronomical painting made by Chesley Bonestell with the assistance of Wernher von Braun. What were once columns of numbers or boring graphs take on a new, compelling reality in these paintings and sculptures. 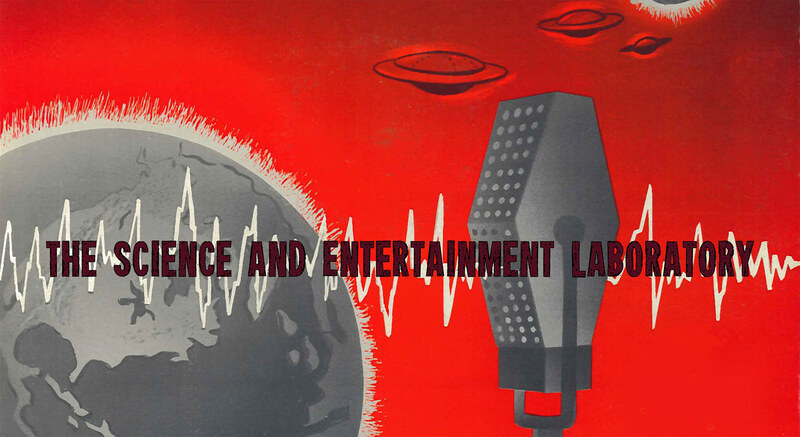 The development of mass media now allows vast audiences to virtually witness science. 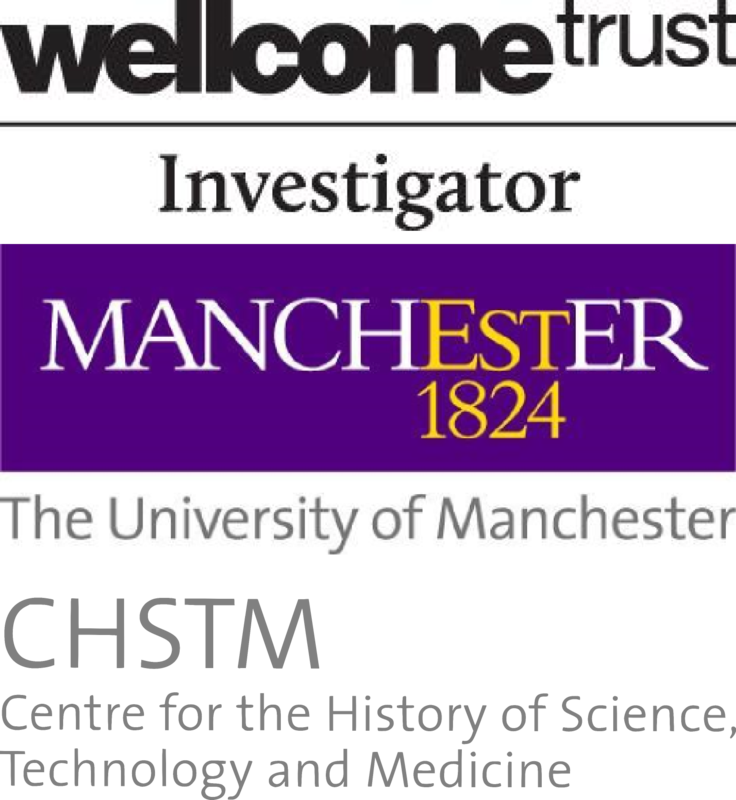 My academic work has focused on scientists collaborating with artists in the medium of cinema. 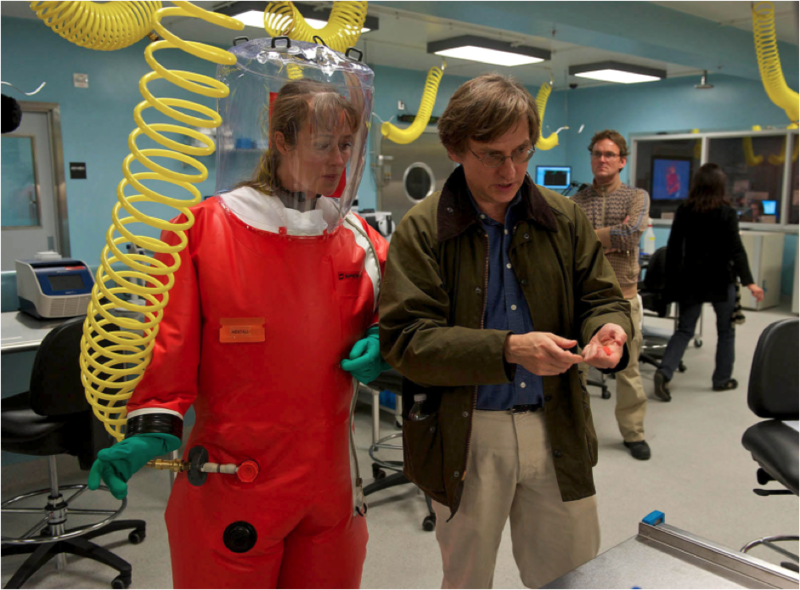 This includes the use of science consultants as we see here with epidemiologist Ian Lipkin advising on the set of the 2011 film Contagion. All of the elements that make cinema an immersive experience naturalize scientific images on the screen. 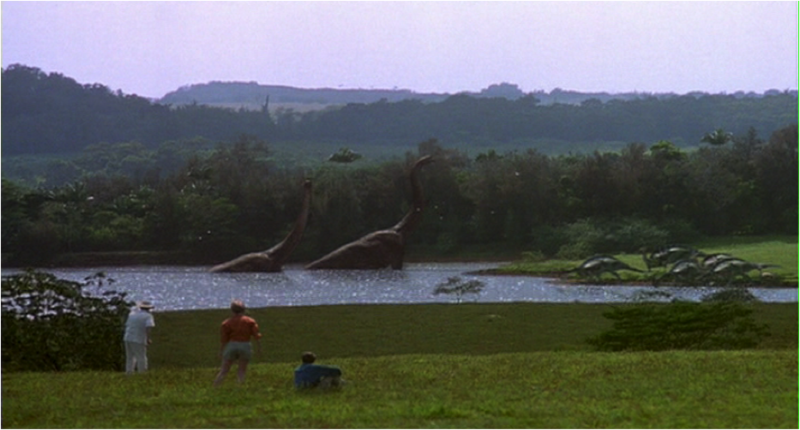 The dinosaurs in this scene from Jurassic Park are treated as a “natural” aspect of the landscape by the characters within the film, which allows the audience to feel as if they too are witnessing these dinosaurs. 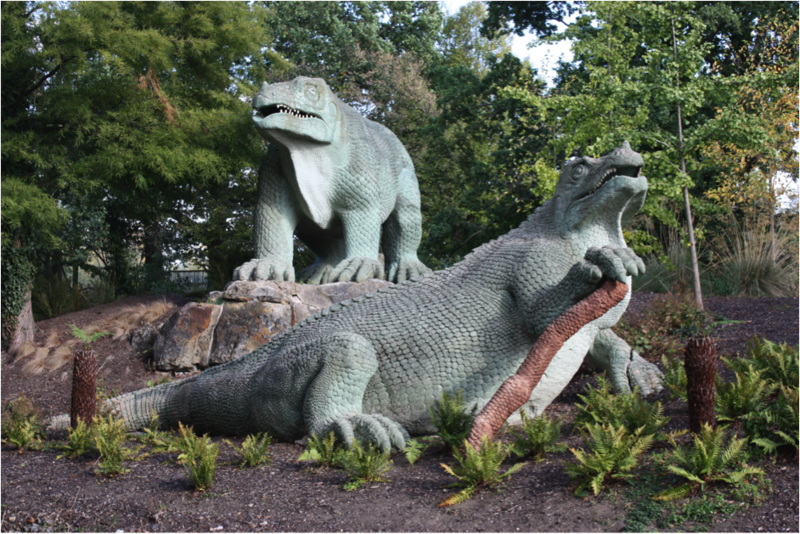 Just like Richard Owen with the Crystal Palace dinosaurs, science consultants for Jurassic Park had the explicit goal of changing public and scientific perceptions. 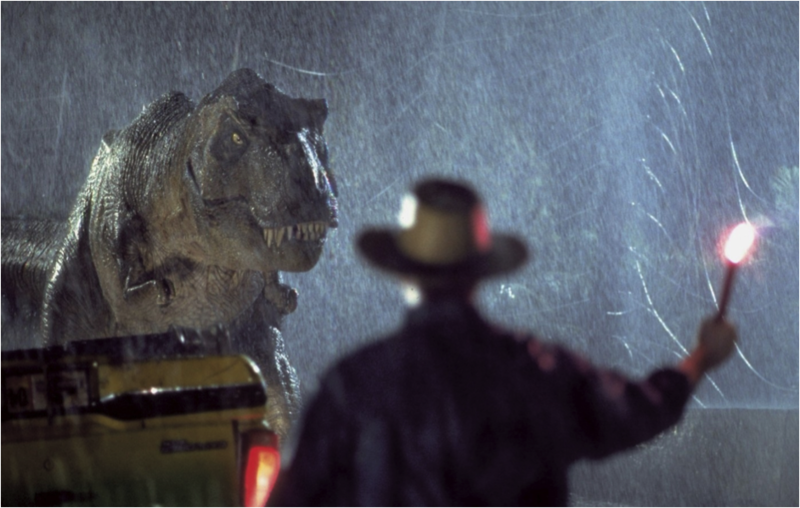 This film almost single handily replaced previous ideas of dinosaurs as slow, lumbering and dim-witted beasts with a new vision of dinosaurs as fast-moving and highly intelligent animals. Scientists become movie consultants because they want to influence how stories about science are told through this medium. 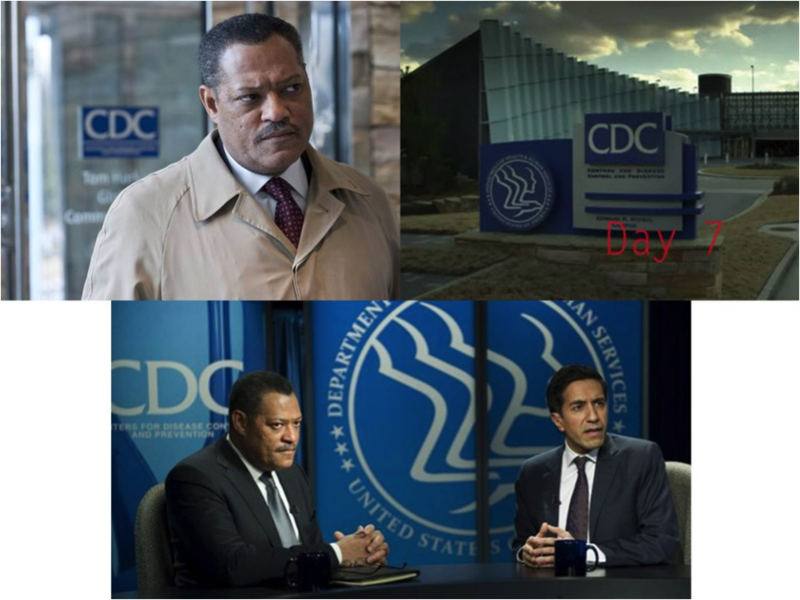 In the case of Contagion, the CDC wanted to help tell a story about the very real threat of emerging viruses and, more importantly, they wanted a story about the role that the CDC plays in stopping these threats. Scientists also become consultants because they hope that movies will stimulate a desire to see fictional technologies become real-world technologies. 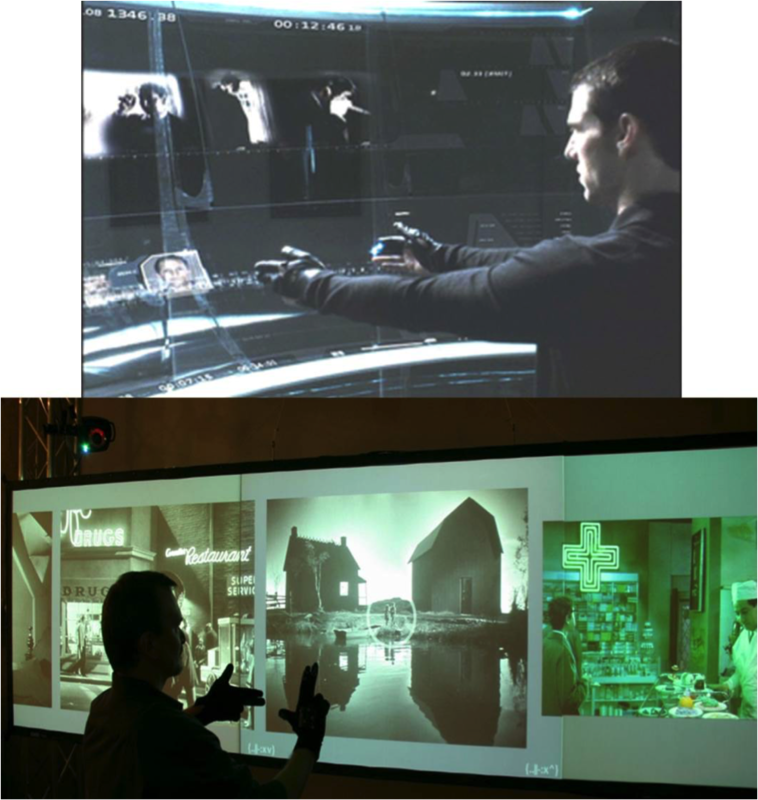 This fictional computer technology in Minority Report directly led to a corporate contract for the film’s science consultant John Underkoffler to produce the technology in real life. 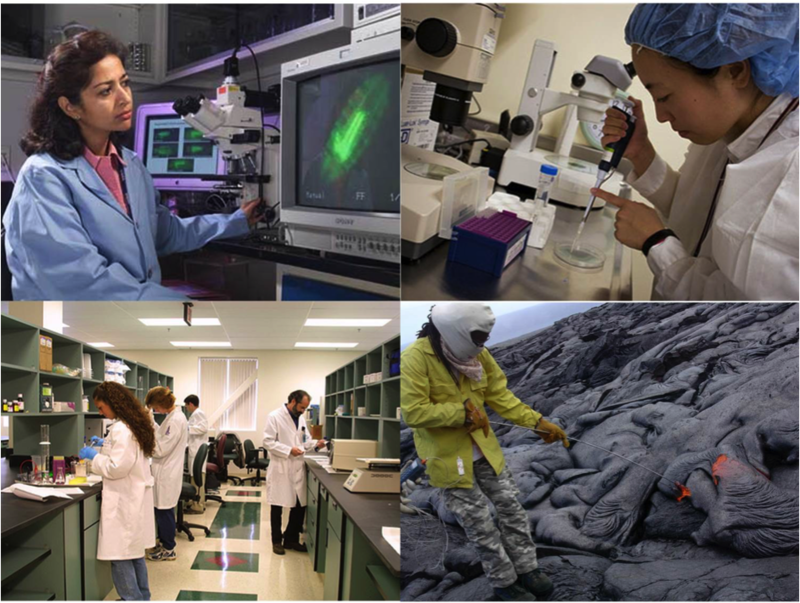 But, there are limitations to the value of collaborations between scientists and artists. 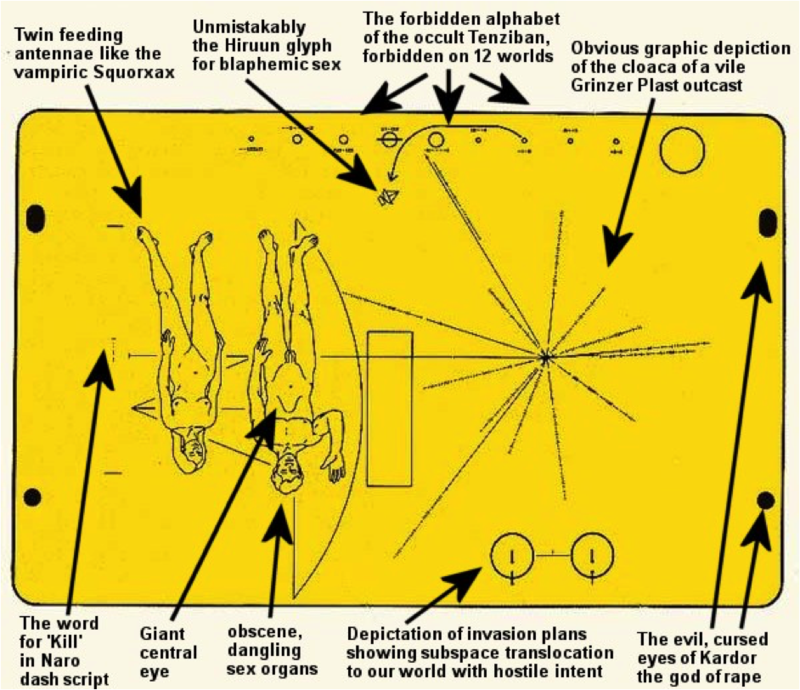 We might consider the Pioneer Plaque to be the ultimate scientific piece of art. 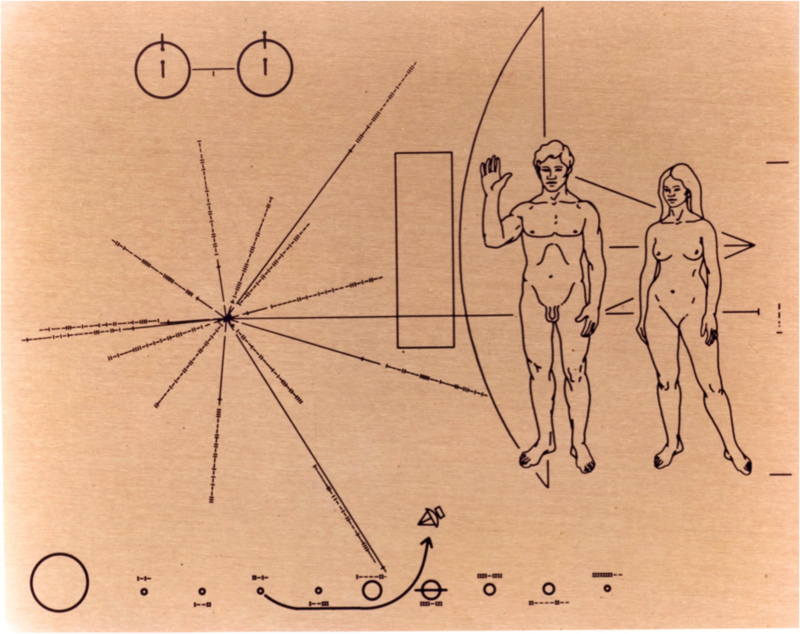 It was designed by scientists including Carl Sagan and artists to communicate human knowledge to intelligent extraterrestrials. These messages were designed to visually communicate knowledge without using text or human language because it was assumed that recipients wouldn’t have prior knowledge about humans. The idea was that scientists and artists could produce images representing universal knowledge that could be understood anywhere in the universe. This cartoon, however, reveals the problem with believing that any piece of art could be universally understood or that visuals alone can faithfully convey scientific knowledge. Humans build order using art and science, but art is always an interpretative and transformative act. That, I think, this is something we need to talk about when we discuss art and science.